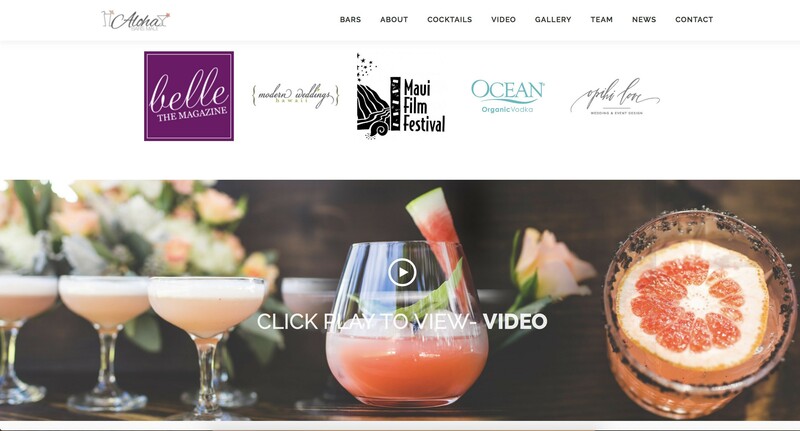 Aloha Bars Maui and The X Concept have been collaborating for over 5 years. 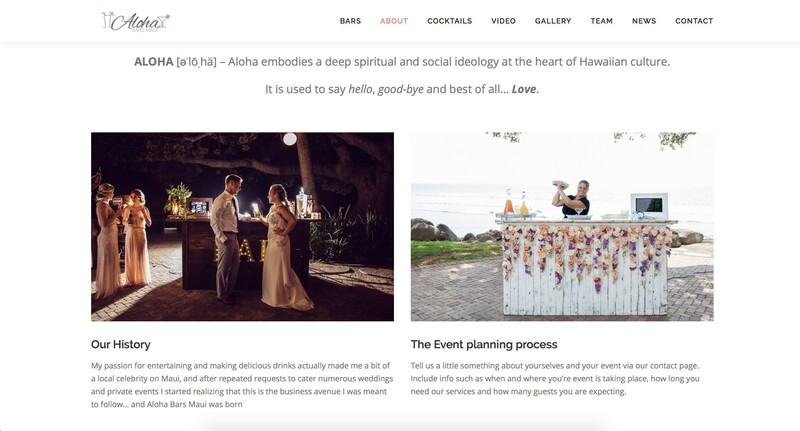 From the early days of the company launching its services of mobile bar service for the wedding industry in Hawaii. 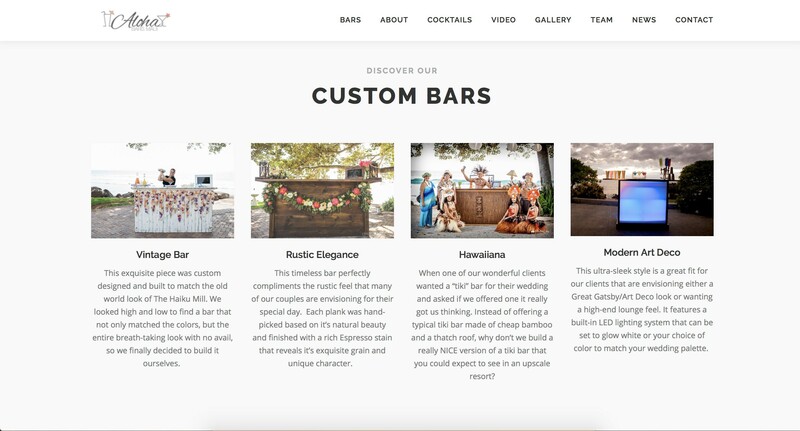 The X Concept created Aloha Bars Maui’s marketing materials. We created their logo, designed their first ad for the Maui Film Festival, their business cards and Polo shirts. Aloha Bars Maui was officially in business. 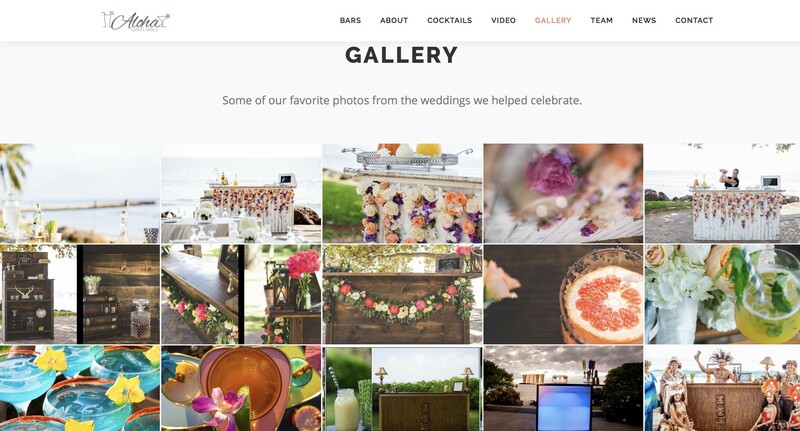 For budget reasons, the founder and her business partner decided to build their first website themselves, and it worked out quite well for them. Everything was working fine until the day their website was hacked and some malware crippled their database. This when they turned to The X Concept to put away the fire. We then developed automated Social Media posting of their content marketing articles, email marketing signups and newsletters. Optimization of B2B (Coordinators) and B2C (Brides and Grooms) communications. Content to maximize clarification with those two types of business models. 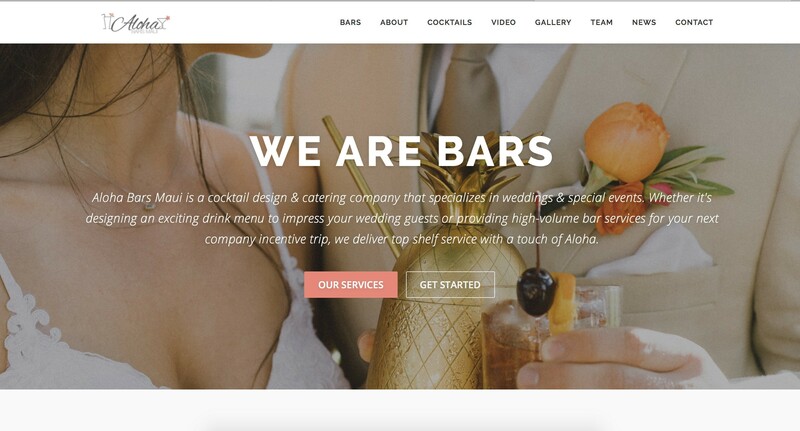 Different styles of bars for different weddings. All their bars are hand built by local craftsmen. 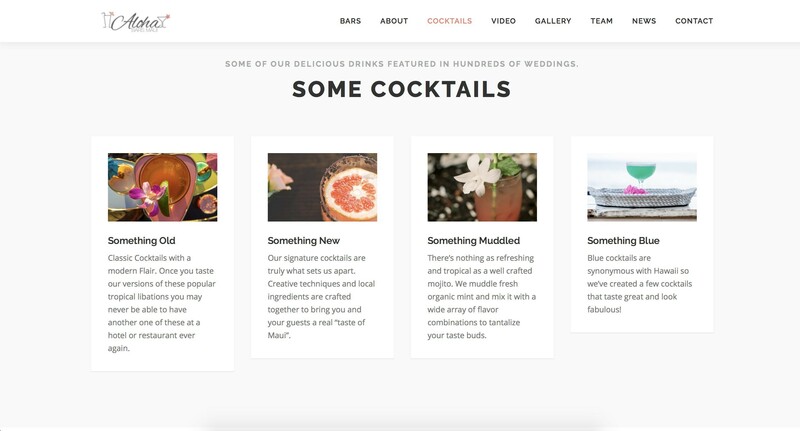 Specialty designed cocktails for the bride and grooms to choose from. Gallery display of some of their installs at different weddings throughout Maui. Some of the corporate accolades they have received and a presentation video. Follow Aloha Bars Maui on Facebook, and check out their website.